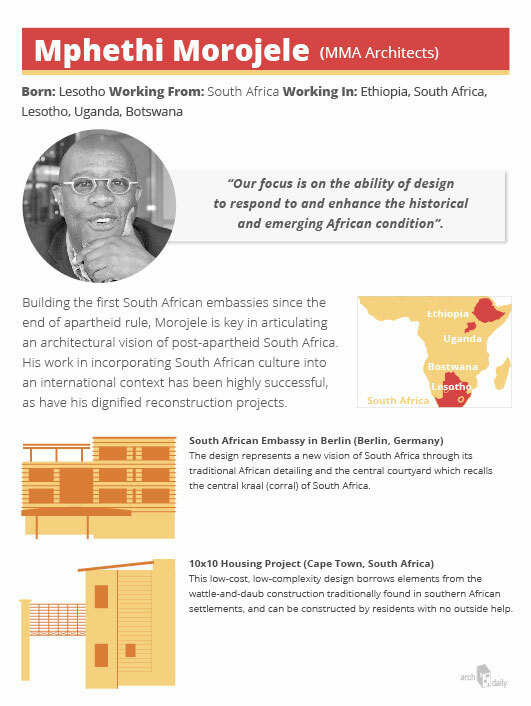 Morojele’s MMA architects was one of the first black-owned architectural practices in South Africa following the end of apartheid and has been a leading voice of the new, non-establishment practices ever since. Working on high-profile institutional projects such as embassies and university buildings, Morojele is heavily involved in efforts to remake the face of the African city to serve the public and reflect social commentary. A strong cultural interest is also indicated in his designs, which are intended to reflect the way South Africa views itself in the post-apartheid era. The South African Embassy in Berlin, Germany. Morojele’s cultural interest can be seen in his designs for the South African embassy buildings in Ethiopia and Germany. As a typology, embassies are complicated buildings, required to exhibit a sense of national self while still fitting into the foreign context in which they are placed. 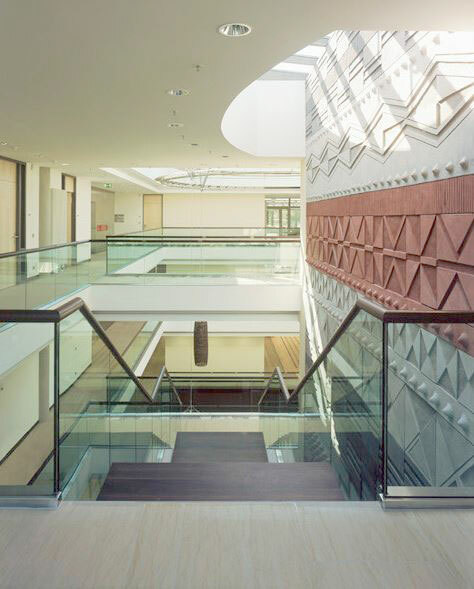 The Berlin embassy was the first South African embassy constructed after the end of apartheid, and shows the new vision of South Africa most obviously in the use of traditional African detailing – but in fact the whole building is informed by traditional African forms, using a central courtyard which recalls both Berlin’s courtyards and the central kraal (corral) of South Africa. 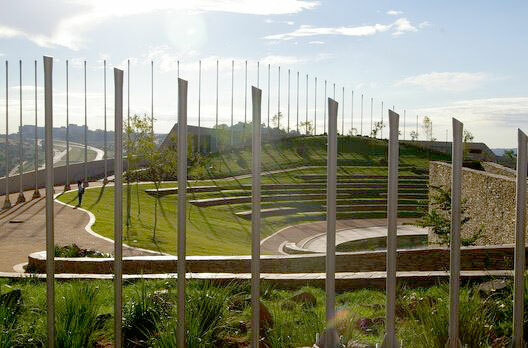 This theme continues into the work on Freedom Park, completed in collaboration with GAPP architects and MRA architects, a project of huge significance in South Africa which is dedicated to the victims of both World Wars and the apartheid era, as well the hotel complex at the Maropeng Cradle of Humanity, which is a World Heritage Site. In addition to his cultural work, Morojele is also active in the reconstruction of residential areas, receiving attention for his participation in the 10 x 10 Housing Project. His low-cost, low-complexity design borrows elements from the wattle-and-daub construction traditionally found in southern African settlements, and requires little skill to construct, no electricity on site and as few as 6 laborers. This means that, in theory, these designs could be used by residents of informal settlements and isolated areas to put up high quality housing with no outside help. His Ellis Park Sports Precinct, in the rundown inner city suburb of Ellis Park, also played a large role in the wider reconstruction program of the area. Alongside his school projects in the township of Khayelitsha, these works focus on including youth in South African society – important in a country known for extremely high rates of protest (young South Africans are more likely to have protested against the government than voted for it) and one still struggling to create a new self image that incorporates all sections of society.